Martyrdom or Suicide has long been a debated phenomenon in the east and west. With the rise of Islamist suicide or martyrdom operations in the Middle East and the rise of such instances in the west more recently one needs to dig deep into the history of when it began and why it began. Agha Panahian tells a story about the beauty, taste, and pleasure of martyrdom in the way of Allah while defending the innocents and standing up for justice. Eloquent explanation of what martyrdom is. 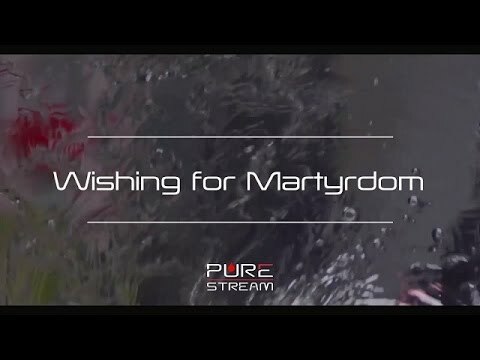 Who are the martyrs? Is martyrdom easy to attain. Should we just mourn and be sad for the martyrs of Islam? Hundreds of thousands of pilgrims from all over Iraq converged in a holy shrine in northern Baghdad to commemorate the martyrdom anniversary of the Seventh Shia imam Musa ibn Jafar al-Kazim. 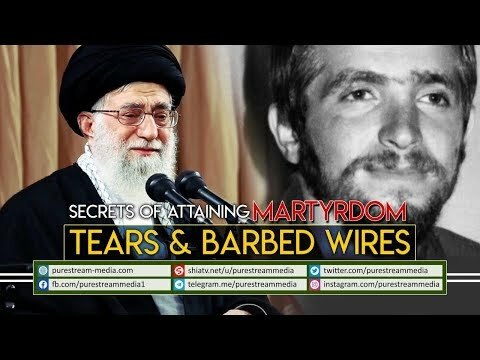 Let\'s see what the wife of martyr Mahdi (who sacrificed his life while protecting the shrines of our Imams in Iraq, Samarra) has to say about martyrdom, how does she feel being the wife of a martyr and what we can learn from her story. What is this passion of Martyrdom? How are these martyrs selected? Have you ever contemplated? This clip is very special. There are two tips that will enable one to acquire martyrdom. Tens of thousands of people have marched through the streets of Beirut, waving flags and banners to commemorate the martyrdom anniversary of the third Shia Imam Hessein (PBUH). The outpouring over the martyrdom of Prophet Mohammad's grandson reached to a crescendo in the Southern Suburbs of Beirut, where Hezbollah secretary general Sayyed Hassan Nasrallah gave a speech. Ashura in lebanon has come to symbolize the conflict with Israel.This occasion according to hezbollah and many of the masses commemorating Ashura should serve as a reminder to certain sides not to surrender to the will of Israel. Sayyed Nasrallah once again underscored the importance of not surrendering to Israel, and called on Arab leaders to embrace the choice of resistance rather than negotiating with Israel, which he described as a waste of time. Sayyed Nasrallah stressed the importance the teachings of Imam Hussein who was martyred in 680 AD by his enemies. Imam Hussein's teachings are considered by Muslims around the world as the basis of resistance against what they believe to be the current forms of occupation and imperialism. The Hezbollah leader also said there is a new western conspiracy against the resistance and its people. Many wore black as a sign of mourning and chanted slogans in support of Hezbollah. The element of Ashura and specifically the effort to fight injustice has been considered by hezbollah as one of its main building blocks. Today with an international tribunal that could indict some of its members hezbollah views itself as a victim of what it believes to be international injustice and has set out to confront this with what it believes to be the real meaning of truthfullness. Iranians are mourning the passing anniversary of Islam\'s prophet Mohammad -- peace be upon him--with special ceremonies. They are also marking the martyrdom anniversary of his grandson, Imam Hassan Mujtaba, the second Shia Imam. The event is being commemorated on the twenty eighth of Safar-- which is the second month in the Islamic lunar Hijri calendar. 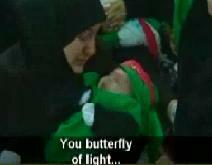 Shia Muslims hold special mourning services during the last ten days of Safar. The mourners will wrap up their commemoration ceremonies on the last day of the month which coincides with the martyrdom anniversary of Imam Reza, the eighth Shia Imam.